During his long reign of near-absolute power, Caesar Augustus established the Pax Romana, which gave Rome two hundred years of peace and social stability, and established an empire that would endure for five centuries and transform the history of Europe and the Mediterranean. 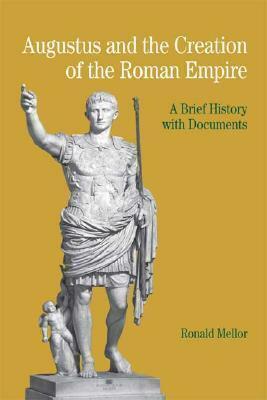 Ronald Mellor offers a collection of primary sources featuring multiple viewpoints of the rise, achievements, and legacy of Augustus and his empire. His cogent introduction to the history of the Age of Augustus encourages students to examine such subjects as the military in war and peacetime, the social and cultural context of political change, the reform of administration, and the personality of the emperor himself. Document headnotes, a list of contemporary literary sources, a glossary of Greek and Latin terms, a chronology, questions for consideration, and a selected bibliography offer additional pedagogical support. RONALD MELLOR (Ph.D., Princeton University) is professor of ancient history at the University of California, Los Angeles, where he served as chair of the history department from 1992 to 1997. Centering his research on ancient religion and Roman historiography, Professor Mellor has written seven books: The Roman Historians (1999); Text and Tradition: Studies in Greek History and Historiography in Honor of Mortimer Chambers (ed. 1999); The Historians of Ancient Rome (ed. 1997); Tacitus: The Classical Heritage (1995); Tacitus (1993); From Augustus to Nero: The First Dynasty of Imperial Rome (ed. 1990); and Thea Rome: The Goddess Roma in the Greek World (1975). Professor Mellor is the statewide Principal Investigator of the California History-Social Science Project, which brings university faculty together with K-12 teachers.